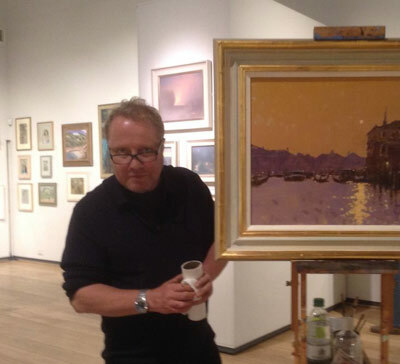 David Sawyer is a much celebrated landscape artist with a no-nonsense approach. David Sawyer has been working as a fine artist since he left Canterbury College of Art in the eighties. During that time he’s won many awards and gained plenty of attention. 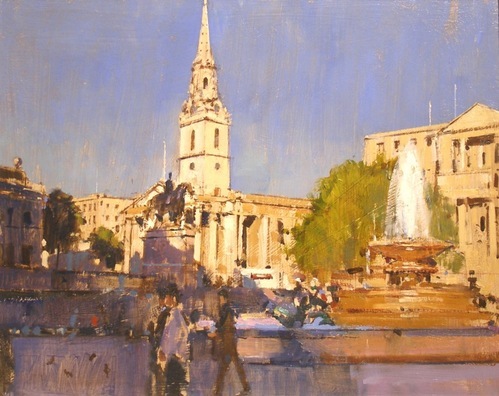 His work often includes architectural motifs which he renders seemingly effortlessly in his impressionistic style. More recently he has been teaching and students appreciate his uncomplicated and direct method and the generous way in which he shares his knowledge. As a seasoned professional he knows every angle of painting and most importantly he knows where to expend his time and energy in order to get his image. His teaching style is gentle and patient. For beginners he will set them clear tasks with a progressive step by step approach. For the more experienced artist he will allow you to get on and then when the direction is clear discuss your work with you and support you in your objectives. It’s these quiet chats with an expert that can make all the difference. We will work mostly in oils and David will cover technical areas like preparing canvases, choice of mediums, supports and all the practicalities of oil painting. With individual support he will demonstrate and guide us through our paintings covering areas like composition and use of colour. 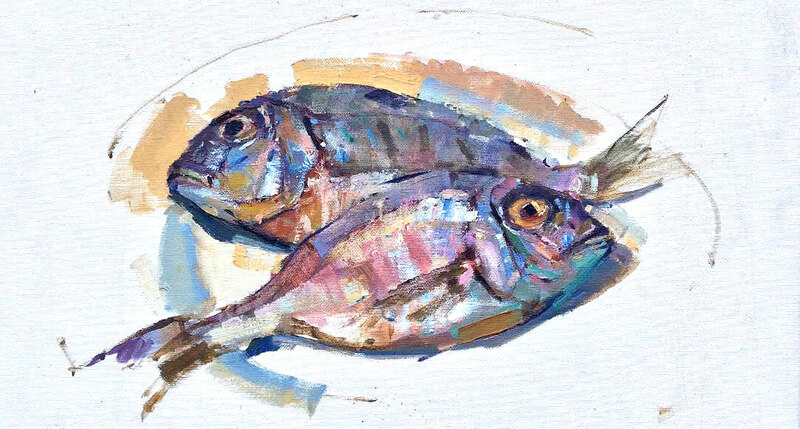 This course is for mixed ability students, David will work with you personally from where you find yourself and as such will be valuable for accomplished painters and beginners alike. There will be some outlay on equipment so if you are a beginner either talk to David first or hold off buying your equipment until after the first week, we can lend you equipment for the first session. You can secure your place on the course by paying a £50 deposit and filling in the form below. nb: The balance will be payable by bank transfer or cash due one week before the commencement of the course. Failure to pay the balance on time could lead to losing your place and your deposit.